My mum picked up this book for me after hearing a good review and reading it on her kindle; I'm so glad she did! I am pretty sure this is aimed at children/teens rather than adults but this didn't bother me. I'd not heard of it before, so it made a nice change to read something where I had no idea what to expect plot-wise. With The Hunger Games, We Need to Talk About Kevin and The Help, among others, I had a vague idea of the storyline as they had been so hyped in the press. Its refreshing to read something I knew absolutely nothing about, with no pre-conceived ideas or plot spoilers! Each chapter starts with an image of the character from whose perspective the story is written. I loved these little touches, which adds to the childish element of the story. 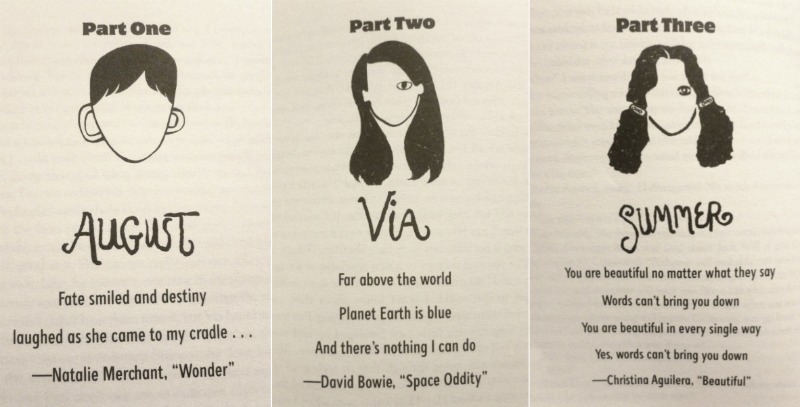 So, what is the book about? 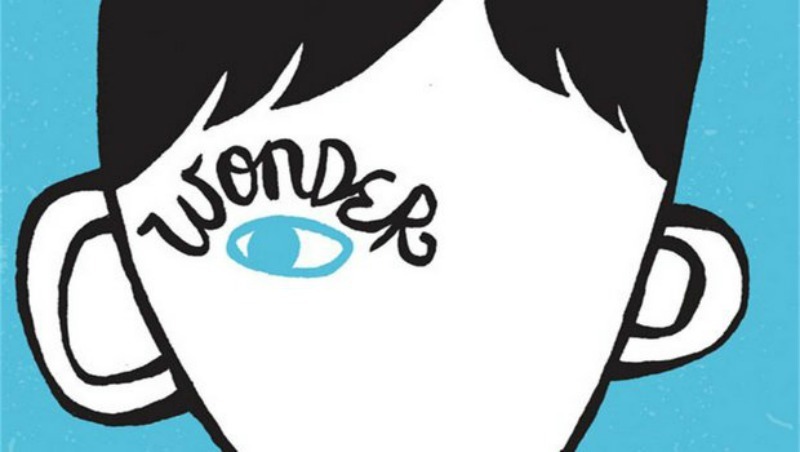 Wonder is a story about August (Auggie) Pullman - a ten year old boy with severe facial deformities. We aren't told what Auggie looks like from the off, he simply tells us "whatever you're thinking, its probably worse". We are told the story of Auggie's start at Beecher Prep, and see the trials and tribulations of middle-school life through the eyes of a number of characters. I'd forgotten how cruel children can be! I won't tell you more than that. It is a really nice, easy read which reminds me of The Curious Incident of the Dog in the Night-Time. I really felt able to connect with the characters, and not just Auggie, to see how having a friend/brother/son with a facial deformity affects their life too. Obviously as a teacher this storyline appealed to me, but anyone who has been through the school system (and perhaps not had the easiest ride!) will find this touching. And although this book is aimed at children, it holds lessons for us all! 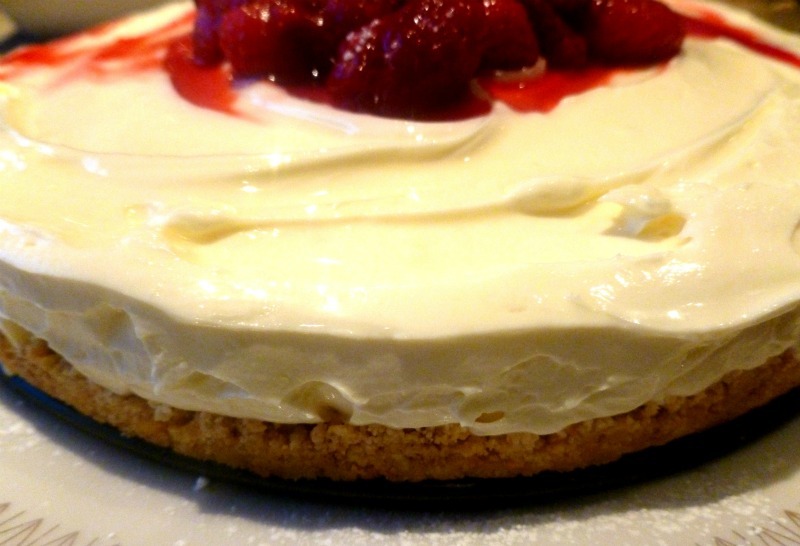 Fancy a spot of baking this bank holiday weekend? Well look no further! 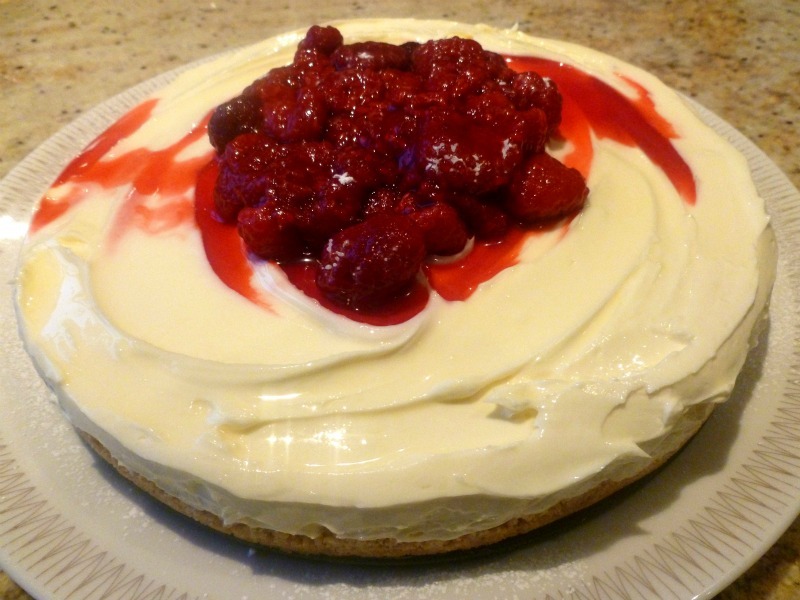 I got this recipe from the ever-trusty BBC GoodFood, and boy is it a good'un... simple, cheesecakey goodness in just a few easy steps. Lay out a piece of baking parchment on the table. Put your baking tin (or removable base) in the centre and draw around the outside. Then, cut out the circle. Spread some butter or oil on the tin and stick this on. Then, using the rest of the baking parchment, cut a long strip about 2 inches wide. Using scissors, snip little slits into it at centimetre intervals. The snips only need to be about a centimetre deep. Then, butter/oil the sides of your baking tin, and line your strips around the side (snipped side down). The snips mean your parchment is able to go with the curve of the baking tin - clever, hey! Next step - make your base. Put your digestive biscuits into a bowl or plastic sandwich bag and smash up using a rolling pin. Careful not to split the bag or you'll have a crushed biscuit disaster! Once they're all crushed into crumbs, mix in your melted butter. 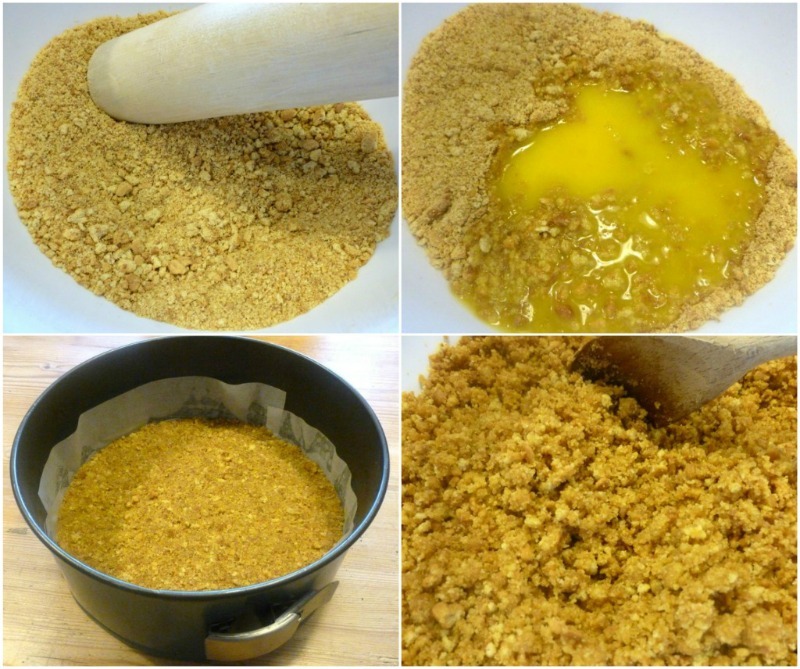 When they crumbs are all coated in butter, push the mixture into your tin. Push down firmly to make a solid base. This now needs to go in the fridge for an hour. In this time I recommend you have a nice glass of wine and watch some telly. Chill! Now for the good stuff! 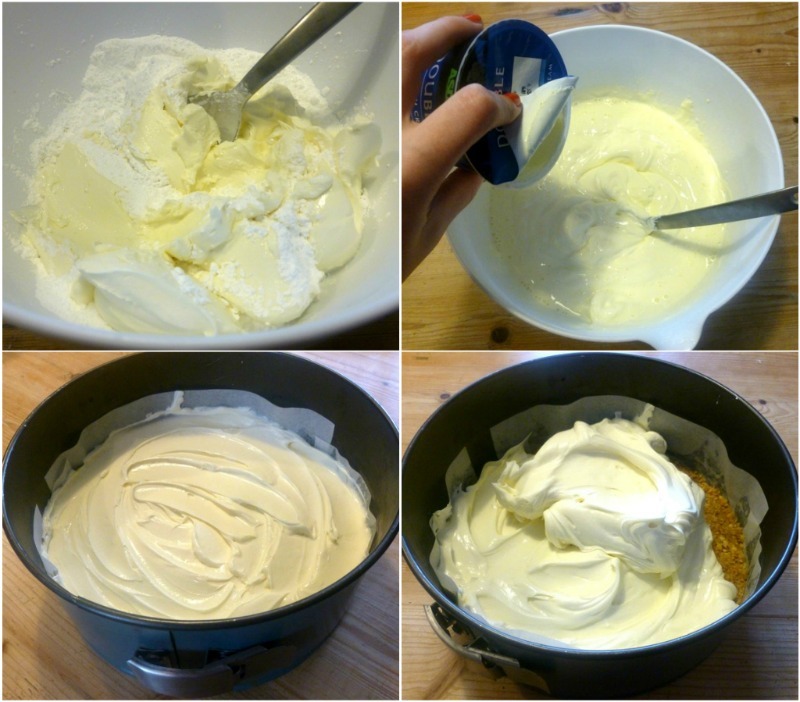 Mix together your cream cheese and icing sugar until soft and smooth. You can either do this by hand or with an electric mixer. The recipe said to add the seeds of one vanilla pod - don't know about you but I resent paying £3+ for these when you can use vanilla essence instead. Yeh I know the pods have a better flavour blah blah blah, but I'm poor and lazy. 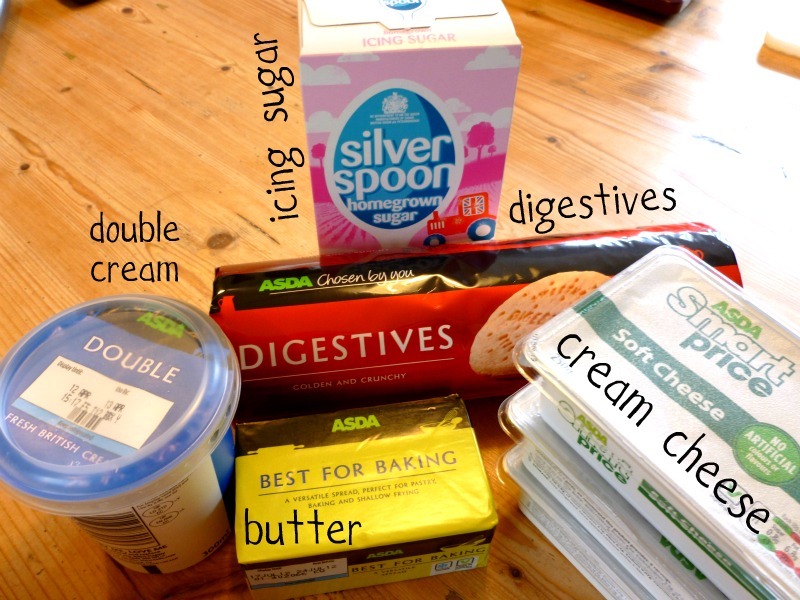 So, mix in a teaspoon of vanilla essence and then your cream. When all the cheese, icing sugar, vanilla essence and cream and mixed together, spoon on to the buttery biscuit base (couldn't resist). Smooth the top down with a knife or some sort of utensil so it looks pretty. Now for the hard bit - leave to set overnight. I know right, I'm all about immediate gratification, but sometimes you just gotta hold fire! To dissemble: take out of fridge and bring to room temperature for about 30 mins before serving. 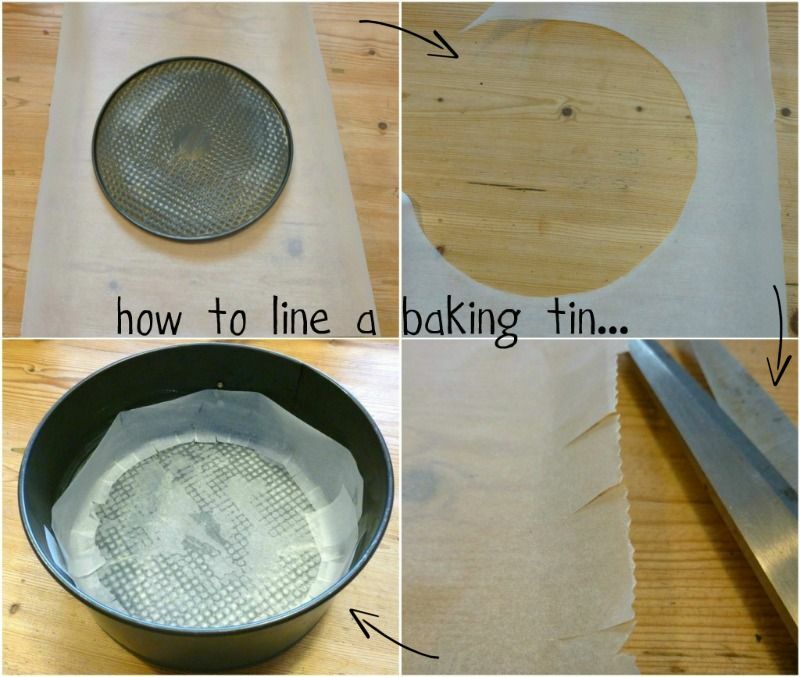 Take out of tin (this is why a removable bottomed tin is so handy!) and remove the lining paper and base. 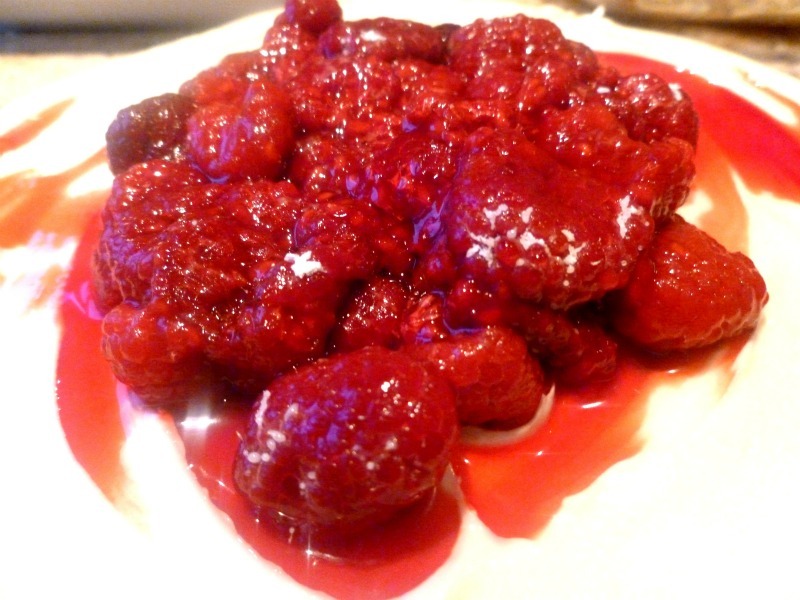 Add some raspberries (or strawberries/blueberries) and dust with icing sugar.